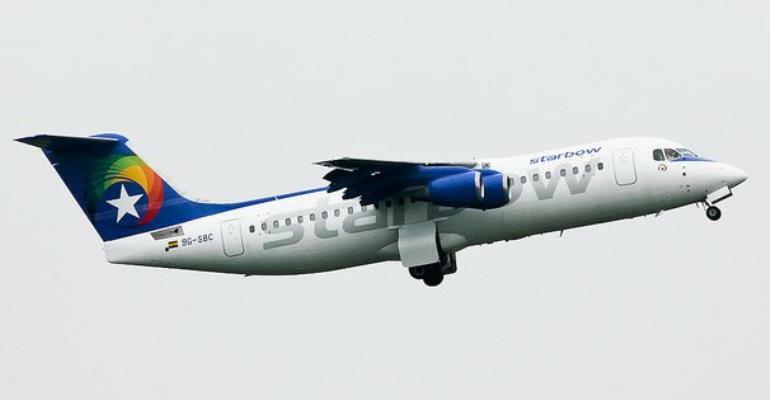 Domestic Airline Starbow has been directed by the Aviation Ministry to employ qualified staff and review all its operational procedures to avoid any accidents in the future. It must also arrange the retraining of its personnel on cockpit resource management and aborted take-off procedures. These were contained in a specialized investigative report by a committee constituted by the ministry to ascertain the circumstances leading to the Starbow plane crash last November. Aviation Minister Cecilia Dapaah who disclosed the details of the investigative report to Parliament said the Ghana Airport Company must also review its standard operational procedures and responses in the event of an accident. She was responding to an urgent question filed by a Member of Parliament Kwame Agbodzah on the circumstances leading to the Starbow accident in November last year. Aircraft of the local airline has been involved in a number of accidents with the recent one happening at the Kotoka International Airport. At least five people were reported to have sustained minor injuries when the Starbow aircraft skidded off the tarmac and landed on grass. The airline has since suspended operations awaiting a report of a technical committee tasked to investigate the cause of the accident. Joy News’ Joseph Ackah Blay who was in Parliament, Tuesday reported the sector minister as saying there was the loss of situational awareness on the part of the Starbow cockpit crew as well as failure by the crew to execute the correct procedures in aborting a take-off. These the minister explained were the two major causes of the November 25 crash by the Starbow aircraft. The Member of Parliament for Adaklu Kwame Agbodzah has been pushing for sanctions against the local airline but the sector Minister Cecilia Dapaah said the Ministry will decide on what sanctions will be meted out to the company. She said the special investigative committee was only tasked to investigate the cause of the accident and not to impose or recommend sanctions. Meanwhile, the committee also recommended that the management of the Air Traffic control at GCAA must also ensure that all staff members are familiar with all requirements of accidents and incidents that happen. The GCAA is also expected to establish a standing preliminary investigative team with approved procedures including medical tests for victims of accidents.